My friend Cathryn had me over for dinner recently. She knows about my dietary restrictions, and like the amazing hostess she is, was more than accommodating with her menu! 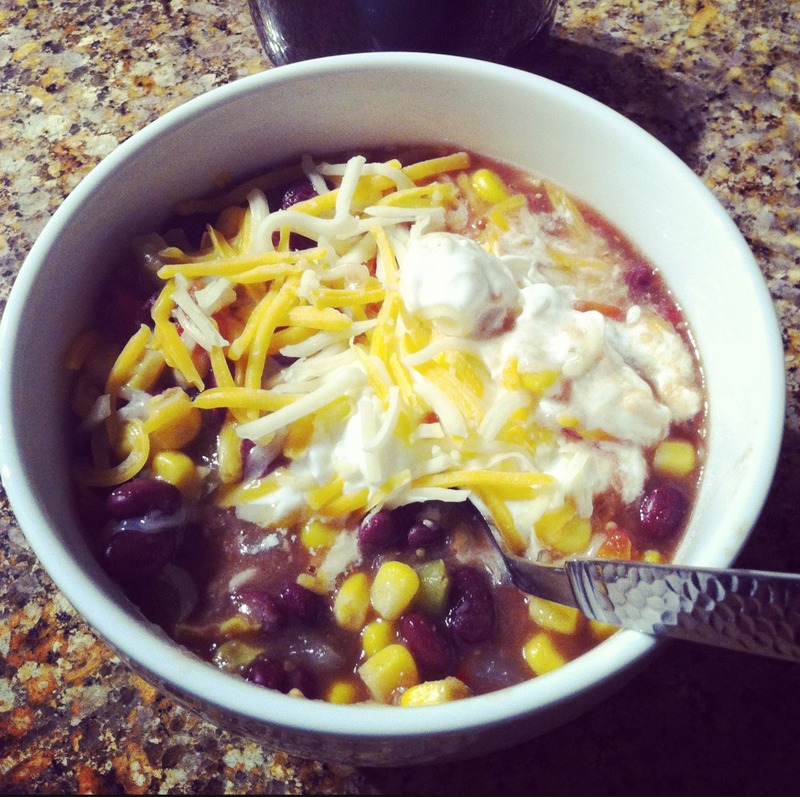 She made a delicious spicy black bean chili, and it was so great snagged the recipe to share! It took less than 30 minutes to prep and cook, and is packed full of flavor! This is an incredibly easy fall/winter dish. Enjoy! Melt margerine in large pot over medium heat. Saute onions until soft, about 5 minutes. 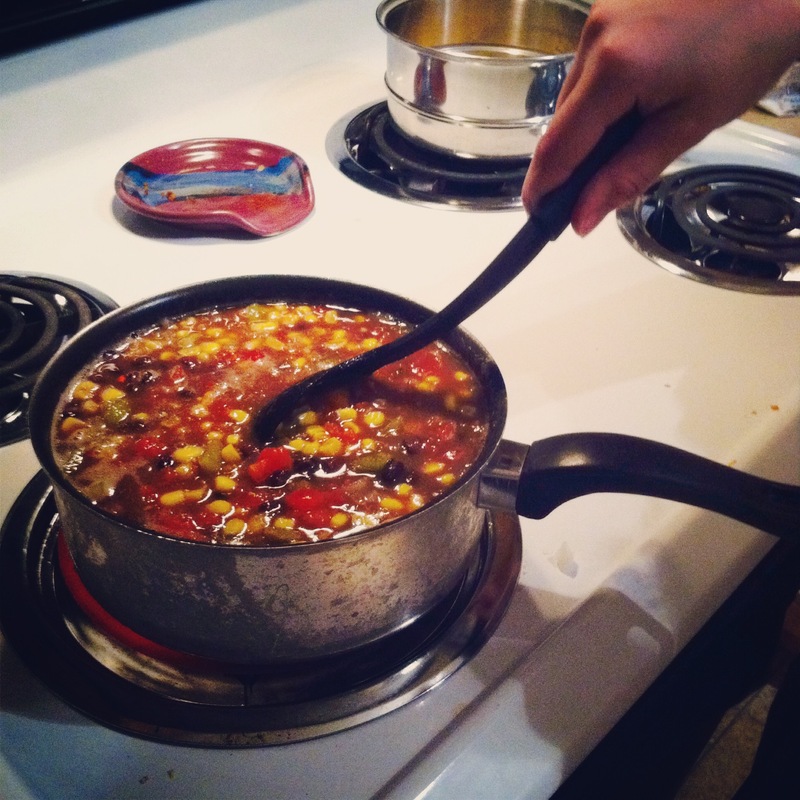 Add tomatoes, corn, green chiles, salsa, & black beans to pot; mix well. Bring just to boiling, then reduce heat and simmer 10 minutes.